Having worked and lived in the Middle East for more than 15 years we have never stop learning. At times things change so quickly that by the time we have finished writing an article we already need to have another ready with the latest update. As we look at and evaluate current events today we want to understand what role they might be playing to set the stage for the events prophesied in the Bible! At the same time we must remember that as the world continues to change… only God knows the future. We must evaluate current events in light of the Bible, and not the other way around. We need to know and understand Bible prophecy so that we can more wisely discern the role of current world events, especially, Israel and the Middle East. So, lets again grab our Bibles and together see what God has in store for tomorrow’s headlines! Do the historic changes that are taking place in Egypt have prophetic significance…? And, is the election of the new Egyptian President, Mohammed Morsi… a giant step forward towards the revealing of the future anti-Christ? Morsi was sworn in on 29th June 2012, following more than a year of chaotic civil disturbances and political turmoil. It is important for us to understand that… Morsi, was a former member of the Egyptian parliament and chairman of ‘The Freedom and Justice Party’ founded by the Brotherhood during the 2011 Egyptian revolution. With these provocative words, the cleric expressed his confidence that the Arab World will soon unite in their new capital of Jerusalem! The O.I.C is the largest international body in the world outside the United Nations. Its 57 member nations, constitutes the largest voting block in the U.N. The Secretary General of the O.I.C, Ekmeleddin Ihsanoglu, is one of the most powerful and influential Muslims in the world. He is an aggressive representative of Islam in a wide variety of venues throughout the year. If, the O.I.C moves its headquarters to Jerusalem and if Ihsanoglu establishes his offices there that will create a potential candidate for the Biblical “Assyrian” anti-Christ, as he is from Turkey – part of the ancient Assyrian Empire. Is it more than just a coincidence that when USA President Barack Hussein Obama… mistakenly referred to the USA as having 57 States (during his 2008 election campaign) he had the O.I.C subconsciously in mind! It is impossible to say exactly how the uprisings of January 2011 in Egypt will ultimately end, but there are Bible prophecies about the future of Egypt that seemed to be powerfully linked to the current ongoing situation. Since the days of Anwar Sadat, Egypt has been an ally of Israel and the West. During the Camp David Accords in 1978 which resulted in the (now very fragile) Israeli – Egyptian Peace Treaty of March 26, 1979. That move resulted in Egypt being expelled from the Arab League, and for nearly two years, an Islamic revolution came to a boil, ending in the assassination of Sadat in 1981. The assassination was carried out by an Islamic squad during an annual victory parade celebrating Egypt’s crossing the Suez in the 1973 Yom Kippur War. The squad acted with the approval of Islamic cleric, Omar Abdel-Rahman (the blind cleric)… who is also known for his role in 1993 World Trade Centre bombing, and for having close ties with top leaders of the Al-Qaeda. Ironically one of the first things that Morsi wants to do is to organize the release of this man and other terrorists from USA prisons. Since the assassination of Sadat, Egypt was lead by Hosni Mubarak who always walked a tight-wire during his presidency by keeping ‘peace’ with Israel, appeasing the West and managing to keep radical Islamists under control… but those days are now over! The future of Egypt seems destined to follow the pattern of Iran, following the ousting of the Shah of Iran in 1979… within one month after the Shah went into exile; radical Islamic extremists were in control of the Iranian government. Their leader was the Ayatollah Khomeini. This was the beginning of Iran’s grand descent into totalitarian Islamic – fundamentalist state. It does not take a lot of foresight to anticipate a similar fate in Egypt! Although much of the uprising in the streets of Cairo and other Egyptian population centres was supposed to be a call for democracy… the likelihood that Egypt will become a truly democratic society is almost ZERO! The ultimate goal of the Muslim Brotherhood’s will be to establish Egypt as a Sunni Muslim State under an Islamic Caliphate and Shariah Law. From the outset it has been the expressed goal of Al-Qaeda and the Muslim Brotherhood to topple the dictators in the Arab world, especially in Egypt, in order to establish a united Islamist Caliphate… from the Atlantic to the Indian Ocean! Jihad is one of the pillars of Islam. But only the leader of a Caliphate has the authority to issue a call to Jihad that every Muslim in the world is bound to obey. “Caliph” is a shortened version of “Khalifah rasul Allah” meaning; “Successor to the Messenger of their god.” The title “caliph” has been given to the head of state in Muslim-governed countries in the past… although the latter ones lacked the power of the earlier ones. This is what the Jihadists have been working towards and are looking forward to. For centuries Bible commentators have understood the fifth trumpet in Revelation 9 with the release of an army of locusts upon the earth as referring to an end time Islamic jihad army upon the earth. Interestingly, Hamas has on several occasions referred to expressions found in Revelation 9 in their terrorist threats against Israel. Once the Arab dictators are gone and a united Caliphate has been created, it will in the minds of the Islamists be no problem to destroy Israel. And when Israel is gone, the Western world will be defeated! This has been their strategy from the beginning. The only open question is who is going to lead the new Caliphate… Will it be Iran, Turkey, or maybe Egypt? We must understand that the entire Arab League although almost entirely Muslim, is plagued with a deep division between the Sunni Muslim’s and Shia Muslim’s. Essentially all Muslims believe that an Islamic saviour will soon come on the scene – a Mahdi (a false counterpart to the Christian Messiah). The Sunni Muslim’s have their stronghold in Medina – Saudi Arabia and the Muslim Brotherhood is Sunni. They all expect that the world will soon be ruled by their Mahdi. Most of the Sunni Muslims have until now been allied with the West and Saudi Arabia and Turkey being the most prominent. The Shia Muslims, including Syria, Lebanon and Iran are also known as the ‘Twelver’s’ because they believe that their coming Mahdi will be the re-appearance of the Twelfth Mahdi and Mahmoud Ahmadinejad, President of Iran, claims to have communicated with him and expects that he will be revealed to the entire world soon during an apocalyptic global war and convert all to Islam. Persia is today called Iran… and history is repeating itself today in an eerie way! On February 5, 2012 Alireza Forghani, an analyst close to Iran’s supreme leader, Ayatollah Ali Khomeini, wrote on a government affiliated website that, “the opportunity must not be lost to remove ‘this corrupting material’ (meaning Israel). It is a ‘jurisprudential justification’ (supreme decision) to kill all the Jews and annihilate Israel.” Forghani claims that Israel could be destroyed in less than nine minutes! “And the Egyptians will I give over into the hand of a cruel Lord; and a fierce king shall rule over them.” (Isaiah 19:4) This matches up exactly with a prophecy given by the prophet Isaiah’s warning of a powerful dictator who will invade Egypt and take over. Why does God reveal the future to us? One of the reasons is to validate the Word of God. God says; “…Because I knew that thou are obstinate, and thy neck is an iron sinew and thy brow brass… Before it came to pass I showed it thee. (Isaiah 48: 4 – 5). The Old Testament has over 700 references to the land of Egypt. Of these, there are about 250 prophecies specifically concerning Egypt… Many of these predictions deal with the present day situation. God's Word has the answers as to what is going to happen in the future. God has said that; “He, declares the end from the beginning… and from ancient times the things that are not yet done.” (Isaiah 46:10). The world powers today are all falling in line with Biblical Prophecies. The world will come to war over the Middle East. There are four basic power blocks mentioned in God’s Word that will be involved in Armageddon: Russia and her allies (Iran, Ethiopia, Libya, and Turkey) are to invade the Middle East in the latter days. (Ezekiel 38) China with her allies will move 200 million soldiers into the Middle East. Ten nations out of the West will be headed up by the Antichrist. The fourth power that is mentioned called the “King of the South” is Egypt. According to Daniel 11:40, Egypt will therefore, become a leader of an Arab nation collation that will lead an invasion against the State of Israel during the tribulation. The King of the South… EGYPT… The Prophet Daniel wrote about a future confrontation between the king of the north and the king of the south… We are now in the time when these major powers are quickly rising! The king of the south is stirring up trouble even today. It is critical that we know the identity of this prophesied power! Right now... various Islamist groups—often foolishly called “moderate” by the mainstream media—are coming to power in Egypt, Tunisia and other Africa and Middle Eastern nations after the uprisings of the “Arab Spring.” The prophesied “King of the South” will soon emerge as these nations seek a powerful religious/political leader who will bring Muslims together under Islam. This “King of the South” predicted in Daniel 11:40; will most likely be headquartered in Egypt. Psalm 83… opens with a plea to God to save Israel from their enemy neighbours, who have come together making threats to destroy them. Destruction of Israel has been the goal of these surrounding Arab nations since the day Israel became a nation in 1948. These nations not only hate Israel, but they hate God. They have spoken blasphemies against God… and have made threats against Israel since the day they became nation again. Israel won their war of independence because God was there with them... However, the passage in Ezekiel 35:1 -10 is clear that future judgment is coming to the Arab nations that appose God, because of their "ancient hatred" and greed to take the land! 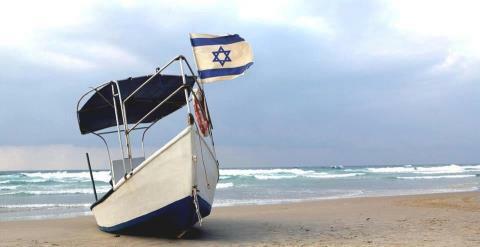 Psalm 83 and Ezekiel 36 both speak of Israel's enemies desiring to take land that was promised to Israel by God. The Edomites want the mountains of Israel. These mountains are located along the eastern border in the West Bank (Judea and Samaria), which is an area the Palestinians want for themselves. The Golan Heights are a strategic mountainous region bordering Syria. The important note here is that the Palestinians and Syrians both want to take these "ancient heights" either through peace treaties or force. But Ezekiel 36:12 indicates the Israel will NEVER lose the "ancients heights" again. It appears that God will intervene with Judgment before the West Bank or the Golan Heights can be given away or taken from Israel… This is very important as the current peace process that includes giving the Palestinians the West Bank is against God's plan and therefore will never come to fruition. So Bible prophecy in the books of Daniel and Psalms suggest that there will be some type of strong Arab-based confederation that will make a deal with a future Arab / European power for the purposes of eliminating "Israel." Many Muslims are looking for this type of confederation as well. But that the alliance will not last. Israel is caught between several evil forces - all of them Islamic… The new terrorist threat is now coming from Egypt's Sinai Desert where Hamas and other Islamic terrorists are pouring out of Gaza into the Sinai and launching missiles into Israel and killing Israeli’s. Israel does not have peace treaties with either Lebanon or Syria and can therefore retaliate against them with military force. This is not the case with Egypt which has a current peace treaty with Israel. To send the Israeli Defence Force into Egyptian territory would deal a fatal blow to that rapidly chilling agreement! Egypt is to become desolated…! The prophet Ezekiel tells us in; Ezekiel 29:10-12. "Behold, therefore, I am against thee, and against thy rivers, and I will make the land of Egypt utterly waste and desolate, from the tower of Syene even unto the border of Ethiopia. No foot of man shall pass through it, nor foot of beast shall pass through it, neither shall it be inhabited 40 years. And I will make the land of Egypt desolate in the midst of the countries that are desolate, and her cities that are laid waste shall be desolate forty years; and I will scatter the Egyptians among the nations, and will disperse, them through the countries." This is a vivid description of Egypt being made desolate, perhaps, by an atomic explosion. No form of life will be able to exist in the land. According to scientists, a nuclear holocaust could render an area uninhabitable for forty years. A sober but positive note… The Great Middle East War will be a spiritual turning point for not only Israel, but for mankind. We are told in Zephaniah 2:11, that God "will reduce to nothing all the gods of the earth!" Many people will come to worship the God of Israel after the war. Israel will defeat all of their immediate Muslim neighbours. The rest of the Islamic nations will be put to shame, as described in Psalm 83. Instead of coming to accept the God of Israel, as many people will… the remaining Muslim nations in the Middle East will try to save face and come against Israel, being lead by Russia in the "Gog and Magog War." Israel will be left defenceless after the Great Middle East War, especially if they end up using most of their weaponry as would likely be the case. God will come to Israel's rescue again and supernaturally defeat Gog's massive army… making Yahweh known to all the nations. There will be no more Allah, or any pagan god left standing after the war in Ezekiel… Neither will there be atheism after this supernatural war... Still, many will reject God. The good news, however, is that a multitude will accept Yeshua (Jesus Christ) as Lord and Saviour, after the Lord shows Himself in the Great Middle East and Gog and Magog Wars. Queen Esther’s Jewish past was unknown (Book of Esther) just as our Jewish roots as followers of Yeshua (Jesus) are unknown for many Christians today. But… the message is the same today: if we abandon our spiritual parents, the Jews, we will NOT escape from Islam’s genocide agenda. We better take our responsibility now to stand with Israel and go before the King of Kings in heaven in prayer on behalf of the Jewish people… we are next in line! When God thus confronts a nation through His Word, He Himself chooses the issue on which He focuses. With Adam, it was the fruit of the tree in the Garden of Eden. With King Saul, it was executing judgement on the Amalekites. Whatever the issue, behind it lies God’s ultimate requirement of submission and obedience to His Word. So it is with the judgement of the nations. God Himself has chosen the issue; the restoration of Israel. It would seem that, in focusing on Israel, God has deliberately chosen a people who are apparently weak, and who have been persistently rejected by other nations. In this way, the decision each nation makes concerning Israel is not likely to be clouded by possible considerations of material self interest. Thus, there remains only one unchanging and sufficient reason for nations to align themselves with Israel; God has clearly revealed in His Word that he intends to restore Israel, and that He requires ALL other nations to co-operate with His purpose. Any nation that rejects this revelation of God’s Word, has in effect rejected God Himself… and must suffer the consequences. Israel’s military leaders are anticipating another regional war soon, not just against the Palestinians but also involving Lebanon, Syria and possibly Egypt. Times are very serious. It is now important that we become firmly established on the truth of God’s Word, preparing to take a stand in prayer, support and action to defend Israel in every way possible in the incoming days. Ponder on this… If you had known beforehand the devastation which would take place in World War 2, how would that have affected you? To know the evil acts of Germany led by Hitler... to know the great loss of life suffered by the armies on both sides... to know the massive destruction against civilian populations... and the attempt to wipe out a whole race of people; the Jews. What would you have done with the knowledge of World War 2 had you known the details beforehand? It is a question we all need to ask ourselves! Do we actually have the courage to acquaint ourselves with the prophecies which God our Father has been giving us concerning World War 3? If, we didn't already know that World War 3 will begin with a surprise attack on Israel over the Palestinian and Jewish struggle for the land! The prophecies given to Ezekiel in the Old Testament of the Bible hold the key to identifying the modern nations which will participate in World War 3 (also see Psalm 83). Egypt is called the "king of the South" in Daniel 11:40-43, and they are the catalyst for the attack against Israel which causes World War 3. Since Mohamed Morsi of the Brotherhood was elected, the "Egypt / Israeli Peace Treaty" is on very shaky ground... with new terrorist threats now coming from Egypt's Sinai Desert where Hamas and other Islamic terrorists are pouring out of Gaza into the Sinai and launching missiles into Israel… and their aim is to kill Israeli’s! God’s Word is true! He IS watching to see how the nations are treating His people… and God will have mercy on Israel through Gentile believers acting as mediators towards them. This is one of the most amazing revelations ever given to the church – an opportunity to do something that carries the highest priority in the heart of God. Yet so few have seen the potential and the rewards of serving God in this manner, as agents of mercy to Israel!